BECAUSE 2010 - It's Time!!! The BECAUSE Conference is the premier weekend event for bisexuals, queers, non-mono-sexual, bi-curious, questioning, and all others, regardless of sexual or gender identity. 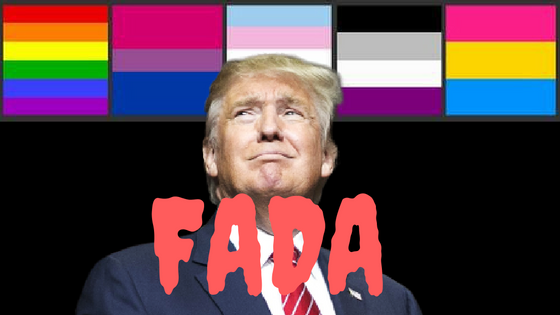 This conference is open to everyone! BECAUSE draws people from throughout the Midwest and beyond to attend the various educational workshops, get active in the community, and enjoy the connections. We welcome you to be a part of an entertaining, educational, and enlightening weekend! The 2010 BECAUSE Conference is being held at Hamline University from April 16-18. Highlight include keynote addresses from Amy André and Beth Zemsky, a conference wide panel titled It’s Time: Perspectives on Bisexuality Past, Present and Future, and our annual Cabaret event on Saturday evening. For more details on the conferencehousing information and/or to register for this unique conference go to BECAUSEConference.org. Feel free to contact BECAUSE at BECAUSEonference@gmail.com with any questions or go to the Facebook group at facebook.com/BECAUSE.Conference. Save the date! April 16-18, 2010. It's Time! Census envelope when you mail it in. We all dream of our Senior Prom, of the wonderful person who will be on our arm, of how good we will look, of how great that night of a lifetime will be …. But for Constance McMillen, of Itawamba County Agricultural High School, that dream has turned into a nightmare, simply because her dream date was a young woman, and what she wanted to wear was a tuxedo. First the principal of the school told her she could not bring who she wanted, nor wear what she wanted, and then, when Constance enlisted the aid of the ACLU, and a letter was sent on her behalf, he cancelled the entire prom. At first Constance was frightened that she would be so hated and blamed that she was afraid to go back to school, but very bravely, she is back in school. The ACLU is rapidly working to fight now for the whole class to have their prom, since the prom is April 2nd. but trolls are posting hateful comments on it. If you have a YouTube account, please go in and thumbs-down their comments and mark them as spam. This way the comments become invisible. we have saved the Twitter logs and we never said that. podcasting service to have that podcast removed. 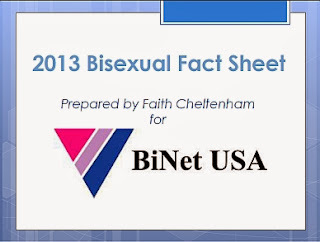 BiNET USA did not even have a Twitter account until May, 2009.
quite likely that she gets angry tweets from bisexuals. She may be confusing those with tweets from BiNET USA. "THIS IS A RACIST BLOG!!! STOP BEING A RACIST!!! WOULD YOU LIKE TO WHIP WHITE PEOPLE YOU RACIST!!!" NEXT TO PRETTY PEOPLE?" and lots more of the same. needs to block the BiNET twitter feed. is in an all-out war against BiNET? Congressman Jim Moran (D-VA) will convene a press conference to spotlight the human impact of the military’s Don’t Ask Don’t Tell (DADT) policy. The event will feature a number of service men and women who will share their personal experiences under DADT. It will bring together Congressional leaders and a range of groups and individuals – all committed to the responsible, speedy repeal of this antiquated policy. Following the brief presentation, press will have the opportunity to interview featured speakers as well as representatives from groups at the forefront of the repeal movement.